Nestlé opens new Nescafé Dolce Gusto capsule production line in Dong Nai Province, Vietnam. Credit: Nestlé. 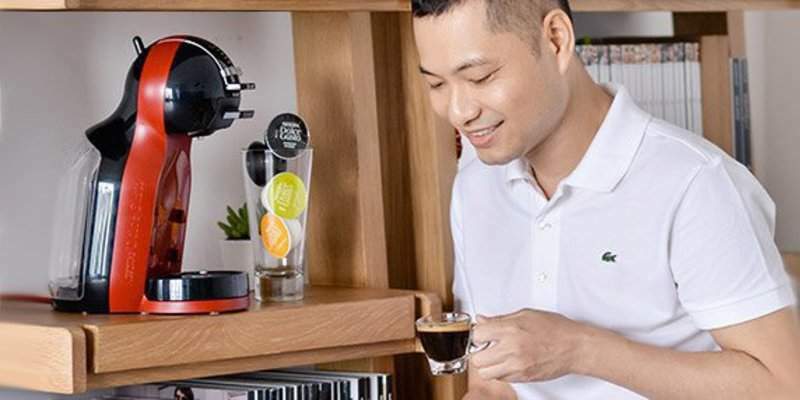 Swiss food and beverage company Nestlé has opened its new Nescafé Dolce Gusto coffee capsule production line in Dong Nai Province, Vietnam. Nestlé’s new facility is expected to produce nearly 2,500t of coffee per year, which is equivalent to 130 million coffee capsules. The site will process high-quality coffee beans, which are claimed to be sourced in Vietnam. In the near future, the coffee company intends to increase production capacity at the site. Nestlé also intends to focus on high-growth, high-margin categories, including coffee. In addition, the firm is expecting to meet the growing demand for coffee drinking in a wide range of Asian countries. The majority of coffee capsules produced from the Dong Nai facility will be exported to various Asian markets, including Thailand, the Philippines, Malaysia, Singapore, Hong Kong, Taiwan and Indonesia. The Swiss company is currently reported to be one of the largest coffee buyers in Vietnam with an annual purchase volume of between 20% and 25% of total coffee production output. Nestlé proposes to enhance the value of Vietnamese coffee and agricultural produce through production, processing and exports. In May this year, Starbucks revealed its plans to form a global coffee alliance with Nestlé to expand the footprint of its brands in the consumer packaged goods and foodservice segments worldwide. Through the new alliance, Starbucks intends to create new growth opportunities in North America, as well as in international markets using the global reach of Nestlé and its coffee brands.